Important information and events of interest to RSVP volunteers. Long Island State Veterans Home in Stony Brook will be sponsoring a Benefits and Resources Event on Saturday, April 27, 2019 from 9 am to 1pm. Free health screenings by Stony Brook Schools of Nursing, Social Welfare and Dental Medicine will be offered. Along with screenings, many health and service providers will be in attendance to help answer your questions on a variety of subjects. The RSVP HIICAP Program will be attending and assisting those with health insurance and Medicare issues. For more information, call 631-444-8606 or visit www.listateveteranshome.org. ClearCaptions is a free phone captioning service that provides near real-time call captions of phone conversations for anyone hard-of-hearing or with any form of hearing loss. 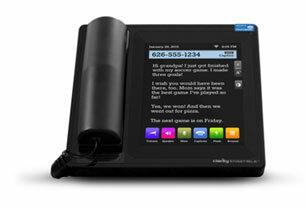 Similar to captioned television, ClearCaptions allows for you to read real-time written call captions of what callers say on this revolutionary home phone, your mobile device, or your computer. This free captioning service is provided by ClearCaptions and paid through a fund administered by the Federal Communications Commission (FCC) for anyone hard-of-hearing or with any form of hearing loss. There is no cost to qualified individuals whose hearing loss inhibits their phone use. Save the Date: Tribute Day 2019! Don’t forget to mark your calendars – Tribute Day 2019 will take place on Tuesday, September 10th. 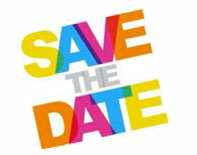 This year’s event will be held at Villa Lombardi’s in Holbrook. RSVP Volunteers with at least 40 hours of service from June 1, 2018 through July 31, 2019 will be receiving an invitation. It’s sure to be a wonderful day with an Expo, Luncheon, Music, Dancing and Raffles!! Hope to see you there! 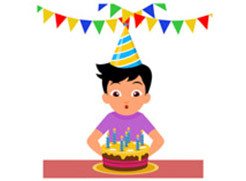 Birthday Wishes of Long Island is located at 15 Cantiague Rock Road in Hicksville. For more information regarding donating, please call 516-390-3505. 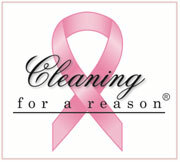 If you know any woman currently undergoing chemotherapy, please pass the word to her that there is a cleaning service that provides FREE housecleaning once per month for four months while she is in treatment. All she has to do is sign up and have her doctor fax a note confirming the treatment. Cleaning For A Reason will have a participating maid service in her zip code area arrange for the service. 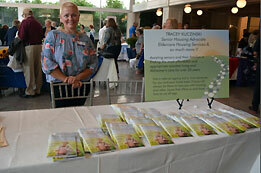 This organization serves the entire USA and currently has 547 partners to help these women. For more information, go to www.cleaningforareason.org. RSVP has reconstructed our Speakers Bureau topics to include many interesting and current issues of today: De-stressing Your Live with Meditation, Senior Scams, Improving Your Scrabble and Anagram Skills, and Early Heart Attack Care and Nutrition Education are four topics presented in powerpoint format by trained, enthusiastic and knowledgeable volunteers. Each topic presentation lasts approximately 30-45 minutes and handouts are provided. Please call Coordinator Terri Catania at 631-979-9490 ext. 15 for more information or to book a presentation. Health Insurance Information Counseling & Assistance Program (HIICAP) is a federal and state funded program from the Centers for Medicare & Medicaid Services (CMS) and is a sponsored service project of the Retired Senior Volunteer Program of Suffolk. 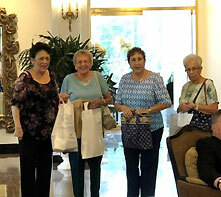 Funding is also provided by Suffolk County Office For the Aging. HIICAP provides you and your loved ones with information and counseling about Medicare and other health insurance. Trained staff and volunteers will answer your questions. They can help you with questions about Original Medicare, Medicare Supplement Plans, Medicare Advantage Plan, Medicare Prescription Plans, Medicare Savings Plans and much more. The services provided by HIICAP are free and unbiased. Call the HIICAP Information Line at 631-979-9490 ext. 18 to speak with a counselor. HIICAP also provides one on one counseling at local libraries. Please go to the Programs and Services page of our website and click the link to our library schedule. 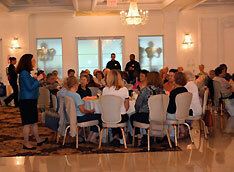 RSVP’s Annual Tribute Day Expo and Luncheon took place on September 12th at Villa Lombardi’s in Holbrook. 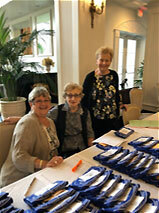 It was a wonderful day with over 300 volunteers and supporters in attendance. The day began with an exhibition by 30 agencies and companies, followed by a delicious lunch at 12 Noon. 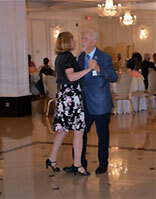 Everyone enjoyed the music provided by “The Other Frank” as well as a fun raffle with over 30 fabulous prizes. 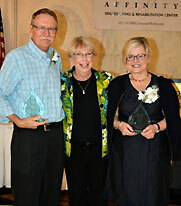 Eloise and Fred Husch were named Volunteers of the Year 2018. The day was capped off with the announcement of our Super Raffle. Two lucky winners went home with “Dinner for Two and Theatre Tickets” and the Grand Prize of a “32” LG Smart HDTV!” Thank you to all our wonderful volunteers. You all deserved this great day! If anyone has an upcoming event or happening you would like us to advertise on our monthly website or in our semi-annual newsletter, please do so. You can also fax the info to us at (631) 979-9235.